The Gujarat Lions team had to face defeat in the second match of the IPL-10 too under Suresh Raina’s captaincy. Gujrat Lion had lost by 10 wickets against Kolkata Knight Riders in their first match of IPL-10. Today David Warner’s Sunrisers Hyderabad defeated them by nine wickets in the second match. In both of these competitions, Gujarat’s Lions could not stay anywhere against the opposing team. The Gujarat Lions have scored only 135 runs in the second match against Sunrisers Hyderabad. 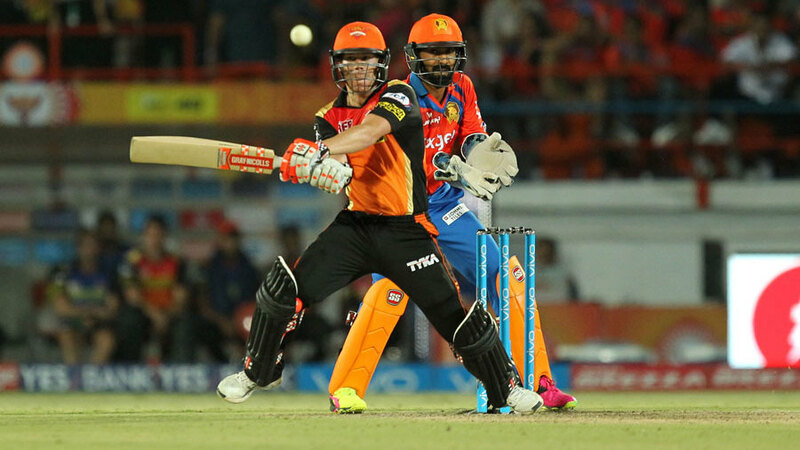 In reply, SRH Captain David Warner scored 76 runs and Moise Henriques scored 52 runs to give the team victory. Hyderabad achieved the target by losing just one wicket in 15.3 overs. The bowling of Gujarat has proved to be their weakest part till now. Definitely it is not a good start for the Gujrat Lions in this year IPL.